To be eligible for a scholarship, applicants were required to have a minimum 3.0 GPA and be entering their freshman year of college. Each scholarship was awarded in the amount of $1,000 per student. Scholarship recipients were chosen based on a number of different merits and academic achievements which included GPA, community service involvement, essay responses, and letters of recommendation. 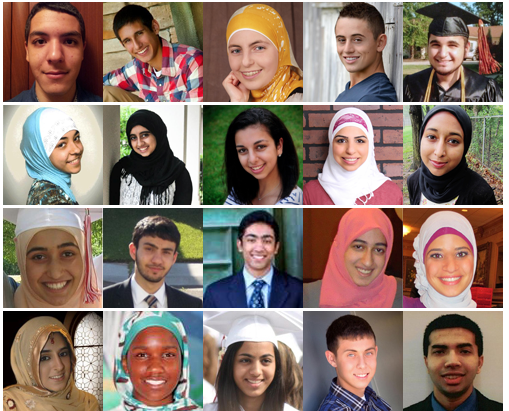 “It is with great pride that we award these scholarships to this fine group of students as a stepping stone in their giant academic leap into a better future for them and for the Muslim community, emphasizing Islam’s focus on education, seen through the first word of the revelation of the Qur’an, Iqra meaning read,” said ISNA’s Development Foundation. If you would like to support one of the many students ISNA was unable to provide an award to this year, please contact the ISNA Scholarship Program at scholarship@isna.net or (317) 204-0930.